Acupuncture is one of the oldest medical treatment processes that started in China more than 2500 years ago. Acupuncture works on the principal of stimulating the nervous system. The process involves insertion of needles in the body at certain predefined points that are connected with each other through pathways and also through flow of energy called Qi. Acupuncture is one of the more common back pain treatment options and is usually popular among patients who are looking for an alternative to surgical options for back pain treatment. Most of the time needling is often considered by patients who have used other conservative treatment options like physical therapy or exercises for back pain and still have no relief from their problem. Acupuncture is known to provide relief to patients who are suffering from chronic back pain. 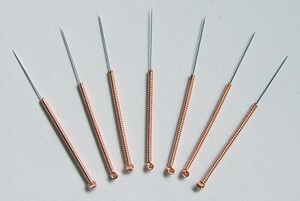 The popularity as well as success of acupuncture can be understood by the guidelines provided by the American College of Physicians that advises the doctors specializing in relieving back pain symptoms to take up acupuncture as an alternative treatment option for their patients who are suffering from lumbar back pain. However, before taking up acupuncture as a non-surgical treatment option you should consult your doctor and take his advice. In fact your doctor may also help you in finding a licensed acupuncturist. Before trying acupuncture treatment make sure that you know how much the treatment costs, whether your health insurance covers this type of alternate therapy option and how long will the treatment last. Make your choice of acupuncturist carefully so as to avoid side effects like an infection. Acupuncture treatment is regulated in the US, so always seek a licensed professional, as well as experienced acupuncturist to ensure the best outcome.